Floating around the policy wonk-o-sphere and on the front page of most of the news dailies today is this idea of a temporary holiday on Federal gas taxes for the summer driving season. 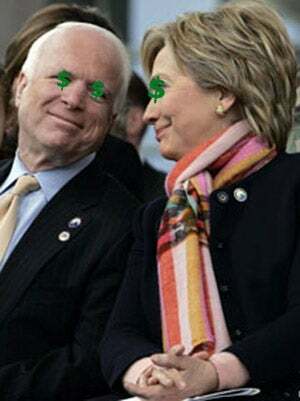 Presidential candidates Sen. John McCain (R-AZ) and Sen. Hillary Clinton (D-copycat) have hopped on the "good idea" bandwagon, while Sen. Barack Obama (D-IL) rides on the "not-so-good idea" wagon-for-one. Analysts at the Urban-Brookings Tax Policy Center, along with Greg Mankiw, former chairman of George W. Bush's Council of Economic Advisers are both saying "Not so fast!" Heck, even Bush's spokeswoman Dana Perino is saying it's a bad idea. Seems these economics experts think that something crazy called "Supply and demand" will cause consumption to rise as prices fall, and since capacity is at a peak, prices will just go back to where they were before the tax holiday.